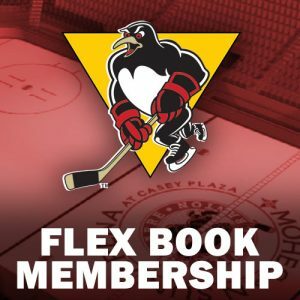 The Pittsburgh Penguins pulled off the upset, defeating the Washington Capitals, 2-0, in Game Seven of the Eastern Conference Semifinals on Wednesday night at the Verizon Center to advance in the Stanley Cup playoffs. 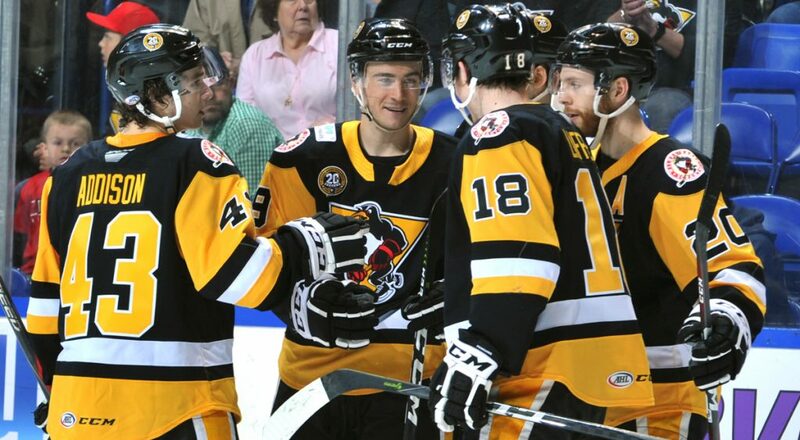 And a few former Wilkes-Barre/Scranton Penguins played big parts in the win over the President’s Trophy winners. 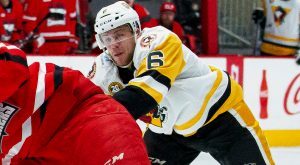 Jake Guentzel, who started the season in Northeast PA, fed Bryan Rust, who spent parts of three seasons in Wilkes-Barre/Scranton, for the game’s opening goal at 8:49 of the second period, a tally which turned out to be the game-winning score. 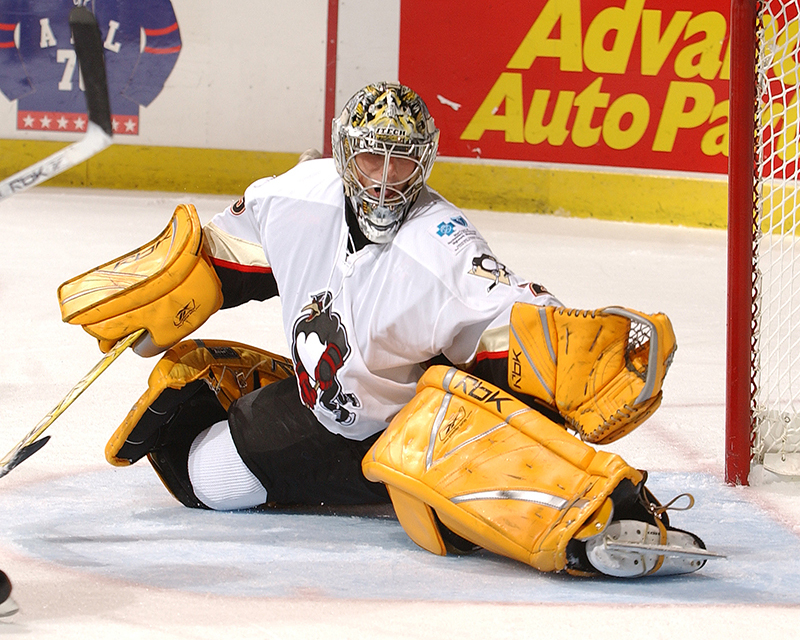 On the other end of the ice, Marc-Andre Fleury, who played parts of four seasons (2003-2006, 2007-2008) turned aside 29 shots to post the shutout for Pittsburgh. 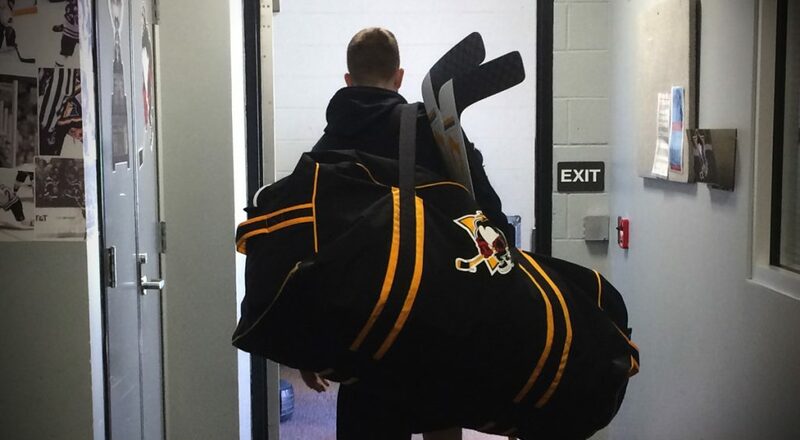 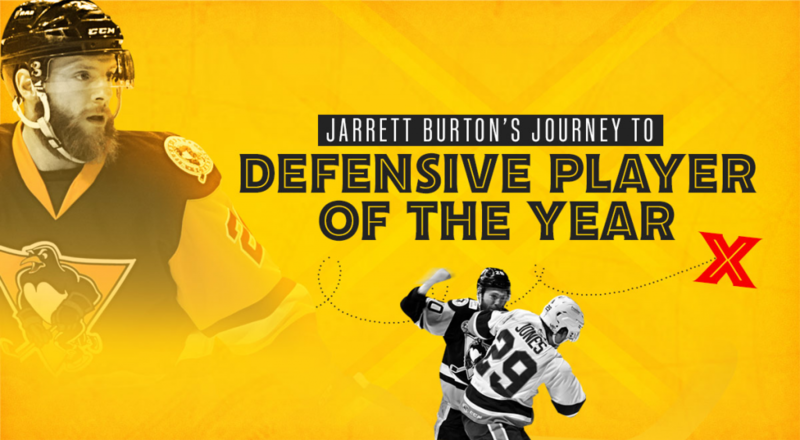 There were 10 players in Pittsburgh uniforms in Game Seven who once suited up for Wilkes-Barre/Scranton (Bryan Rust, Jake Guentzel, Scott Wilson, Carter Rowney, Conor Sheary, Chad Ruhwedel, Brian Dumoulin, Olli Maatta, Marc-Andre Fleury and Matt Murray). 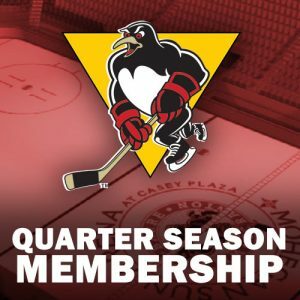 The Penguins now move on to meet the Ottawa Senators in the Eastern Conference Finals. 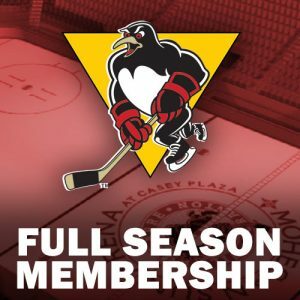 Season ticket packages for the 2017-18 season are on sale now, and available by calling the Wilkes-Barre/Scranton Penguins at 570-208-7367. 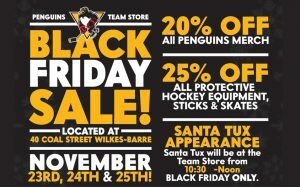 To have a Penguins representative contact you with more information, please fill out the form below.